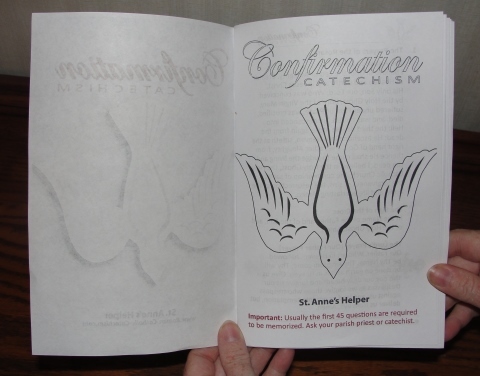 St. Anne's Helper printable Catholic Confirmation preparation ebooklet has the Confirmation Baltimore Catechism No. 2 answers, Catholic prayers, and Ten Commandments. Your kids can learn to know, love, and serve God! PRINTABLE Baltimore Catechism No. 2 Confirmation Preparation PDF booklet. Confirmation symbols, holy days of obligation, Gifts of the Holy Ghost. 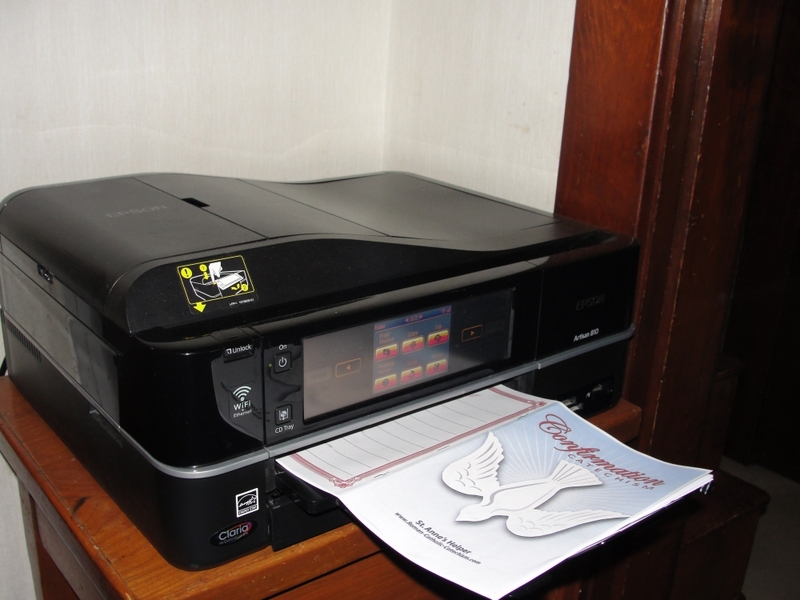 Printable Confirmation Preparation Booklet: Print one for each of your children! If you want your students or children to learn the basics quickly, this is an awesome at-a-glance short cut to some long and windy programs out there. If you're already using another program, this booklet will be like using Cliff Notes, or a short review of the main Catholic doctrines. Print on 8.5x11 paper double sided, fold, and staple. Personalize with your confirmand's name and date. Throughout my life I wish that I had known the Catholic Confirmation answers well. There were so many times that I could have answered arguments, if I'd had these answers memorized. Teaching our own children was the first time that it occurred to me that it would be good to memorize the Ten Commandments. In teaching them I also learned them as well and many other Confirmation answers. You can do the same! 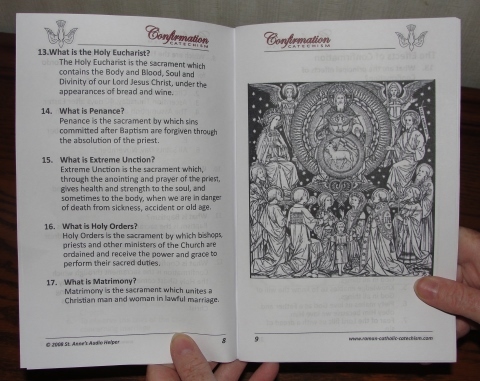 What follows on this page is an explanation of the Saint Anne's Helper Confirmation preparation, the audio catechism, and worksheets. 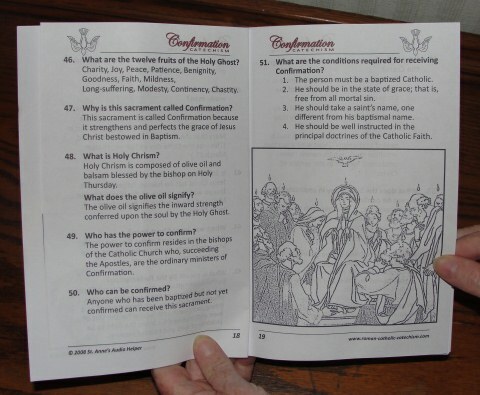 For all three the first 49 of 76 questions are in exactly in the same order as as in the Preparation for Confirmation Baltimore Catechism booklet. The other questions and answers are often asked questions are the answers suggested to be memorized. The prayers and answers are exactly the same as in the editions published by the old Neumann Press and the old Tan Books. Catholic Confirmation preparation is important to study for final perseverance. The information is actually quite simple. Catholics preparing for Confirmation usually need to memorize such facts as the Ten Commandments, the six Laws of the Church, and the Holy Days of Obligation. This booklet makes these easy to learn. It's especially helpful if you also get the audio and the worksheets below. The main preparation necessary is to be spiritually well disposed, yet knowing the main truths is a prerequisite. ❤After Baptism, the best Confirmation preparation during the week before the ceremony is to receive the sacraments of Penance and Holy Eucharist. The disposition of one's soul is the most important element. What would these authors have written were they to have lived today? "Persons who have not been confirmed in youth should make every effort to be confirmed later in life." 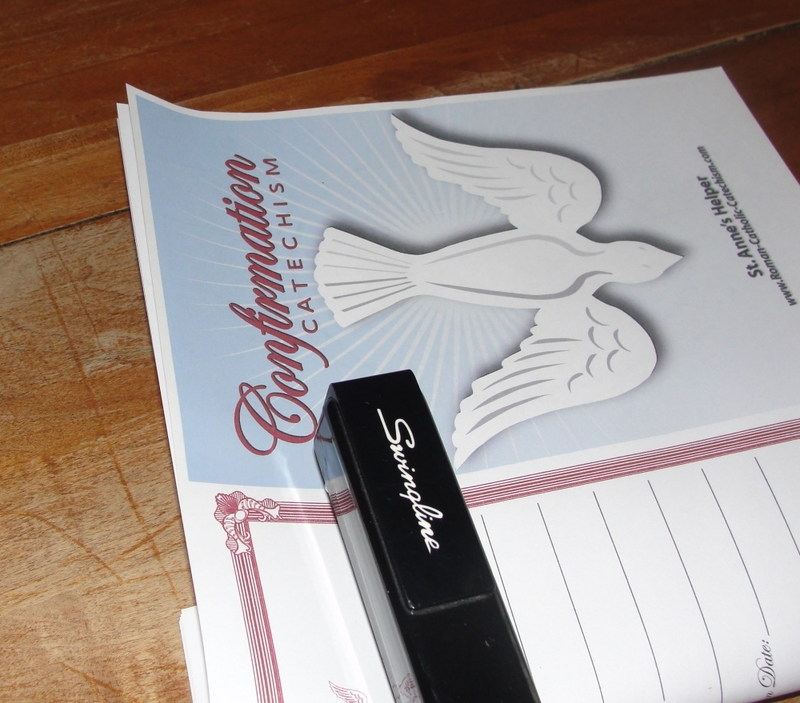 Sacraments and Communion of Saints: Coloring pencils? what are the weapons we are to use. These are very helpful Catholic Confirmation answers, the knowledge of which is most useful in daily life. If one knows the basics like "Thou shalt not kill." one easily understands the pro-life issues like abortion and euthanasia. The Fifth Commandment makes the right to life certain. If one knows that "Thou shalt not steal." one better understands the evil of socialism and communism. The Seventh and the Tenth Commandments offer certitude. The older age at which one receives the sacrament of Confirmation, the more that should be studied; but it remains that the basic disposition necessary to pray and practice the Faith. 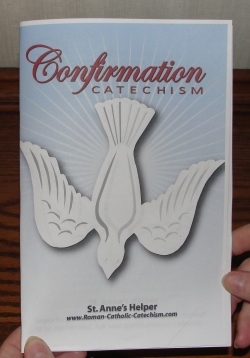 High school students and adults should choose a large catechism that covers examples, Bible stories, and saints stories to go with this printable Catholic Confirmation preparation booklet. Buy this ebook to download and print in just a few minutes. 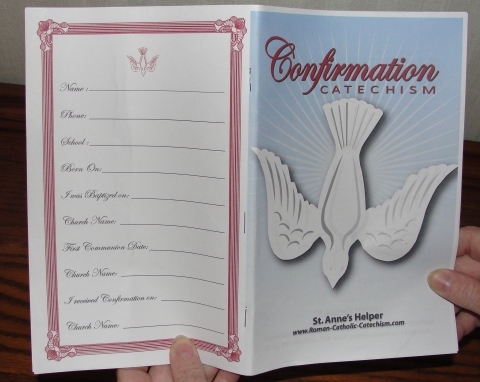 Make this printable Catholic Confirmation Preparation Ebook your child's keepsake. Personalize with names and dates. Staple or sew to bind.